The Weiand Street Warrior is designed for use on stock or stroker combinations that feature efficient cylinder heads. 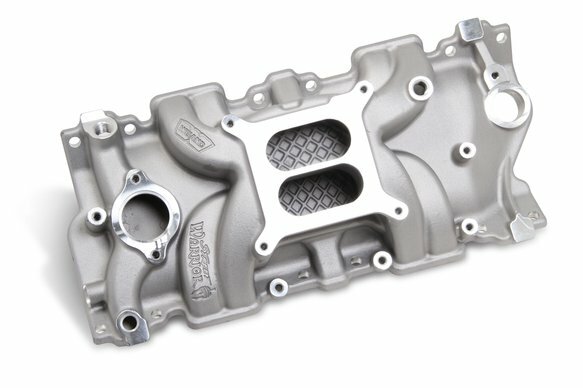 The latest advances in cam design necessitated the design of a new intake manifold, and the Weiand Street Warrior manifolds fill that void. They are designed with computational fluid dynamics (CFD) software for optimized and consistent flow on every single manifold. Height: Front 3.50", Rear 4.50"